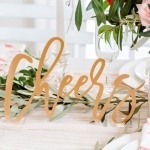 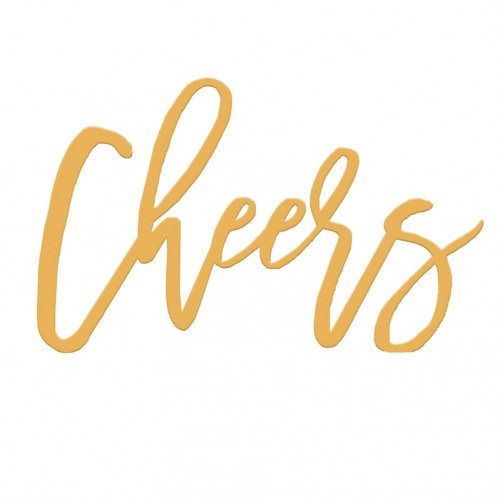 A fun addition to your party or reception is this great "Cheers" acrylic sign. Includes a clear acrylic base set for standing on it's own, or lean against wall other props. P.S., also makes a great photo prop! 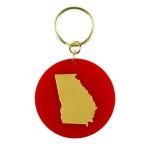 Choose from 16 colors to match your event.